The workload in this enterprise had been divided by half from the moment they started using the software developed by Imatia. The main reason of this is that before they started using elastic business it was necessary to do a separate cut for every personalized article, while right now 60% of all articles can be treated like standard articles. This has allowed Exkal to respond with more speed to the demands of its clients and liberate their workers from routine tasks that don’t add value to the customers. “Thanks to Imatia, we have improved the development process of budgeting and cutting, dramatically decreasing the required efforts. Now, the salespeople can spend the majority of their time to looking for new opportunities and the technical office can focus more on R&D, which is the thing we are the best at, adding more value to our products“. Daniel Antoñanzas Díaz de Rada, Managing Director of Exkal, S.A. The fast increase of the production volume, together with an increased need for personalization on the side of the client, resulted in an increase in variety among the final products. It became very difficult to manage all that information, as well as produce the correct cuts for each and every request within a market that demanded faster response times. The increased complexity of all this resulted in an increased workload for both the commercial department and the technical office. Every change had to be treated as a special work, which greatly increased the difficulty of the programming, the launching and control of the production, as well as the management of the procurement and the maintenance of an updated store. Additionally, this increased variety and complexity had to be transferred upstreams to the suppliers. In this way, the generation of the purchase orders as well as processing those and keeping them in stock required a tremendous amount of work. In order to improve this situation, they chose to implement a configuration of products that will enable creating products in real time, by using parameters, and automatically generating updated lists of materials to produce. In order to implement this, Exkal decided to trust imatia, which implemented the required changes according to the needs of Exkal, so that, based on a basic piece of furniture or starting from the creation of a new one, you can create any furniture. Also, this made it possible to add options or additional accessories that partially or completely substitute any of the components already present in the piece of furniture. Now it is possible to calculate everything, from the base article to the sum of the added options (and optional discounts), while keeping the breakdown of everything. In the same way they are going to configure a new piece of furniture, they are going to construct it dynamically and based on a previously defined parametrized structure, a list of materials and the required operations. In this way if, for example, by realizing a personalisation a set of pieces arise in a color that they have never made before, the system creates every one of them and automatically incorporates them in the piece of furniture. In the case that the need of the client is not in the available options, the technical office could intervene by adding a “special” article that will be added to the available options. With this solution, Exkal has been able to subtract more than the expected 50% of the processing time of a cut and a similar percentage of time on customer delivery. Now, all possible configurations are predefined and associated with every base furniture. 60% of the articles that before were treated as special work, can now be created an available option incorporating them automatically in the cut. The work of the technical office has become easier. The final clients are now provided with a wide spectrum of accessories and personalizations. Adding a new option to the furniture is a relatively easy and task. Before, 90% of the changes were treated as special labour and today only 10% of the changes are treated as such, leading to an incredible reduction in workload. Outsourcing has been facilitated by allowing the existing applications of the client and the provider to intercommunicate. As a result of this, the time dedicated to the transmission of documents between the two enterprises has been reduced by more than 80%. They automated the transmission of records between the two parties, eliminating the human factor as a cause of error in the creation of the transcription orders, bills, etc. Exhibition and Conservation of Food, S.A (Exkal, S.A.) is a family business whose capital is entirely Navarran. Exkal was founded in 2005 by Alfonso Antoñanzas and Jesús Ugarte. 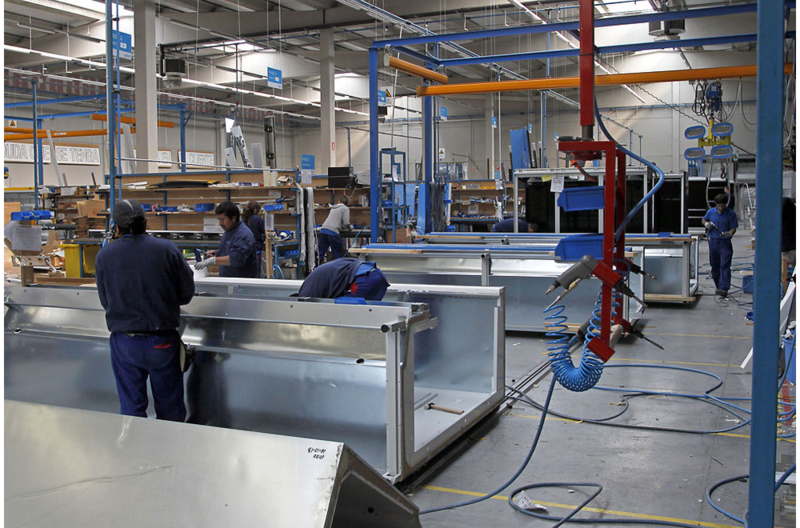 It is dedicated to the creation of refrigeration cabinets for commercial use (cabinets and freezers for shopping centers), while having more than 10.000 m2 of facilities located in Marcilla and employing more than 200 people. 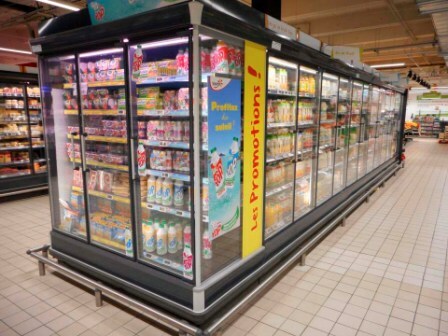 Its focus on sustainability, people and technology, as well as a clear focus on the client has led them to offer a wide variety of refrigerator models (more than 250) with different accessoires (types of shelves, sides, etc.) and a portfolio of more than 2.000 clients among which large shopping centers that operate all over the world. Since a while ago, they have been going through an internationalization process which has lead them to Shanghai (China) and Huehuetoca (México). In addition, they have released a new collection of products that reduce energy consumption with 25%.